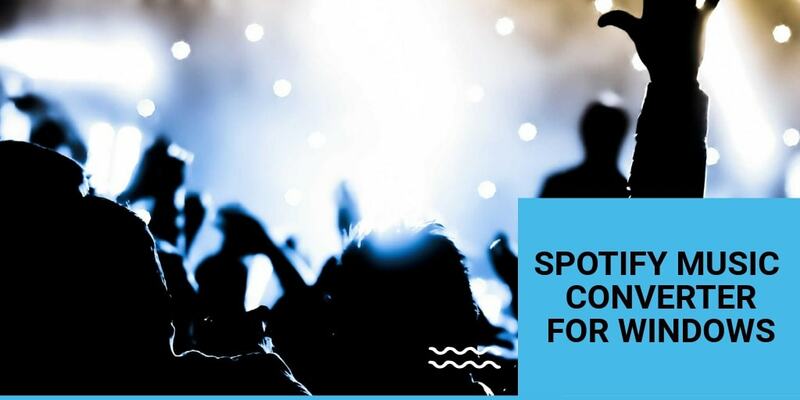 Spotify is first go option for many music lovers to have fun as it provides them easy access to best quality music streaming when connected to internet. With over 70 million users, Spotify can be easily listed as one of the most followed choice for music by today’s generation. It is free when used with internet and allows users to stream music in online mode at free of cost. But, it is not possible to stream music in offline mode for free users. Premium subscription is required for offline use of Spotify app along with other premium services. DRmare Music Converter for Spotify introduced by DRmare Studio, a popular DRM removal software which helps music fans to enjoy Spotify without any DRM restrictions and premium subscriptions. DRmare is music converter for Spotify software designed to operate on the Windows which is easy to operate and is perfect for offline music listening. It is very easy to manage personal music collection of users. Along with the removal of DRM restrictions on the music, Users can also download songs from the Spotify, albums, and playlist directly from the Spotify and then convert these music tracks into various other audio formats such as MP3, M4A, WAV, AAC, FLAC, and many more formats. All these conversions are lossless and remain permanent for your offline use. With these versatile features of this unique downloading tool, users can download Spotify music and enjoy offline playback on different portable devices such as smartphones, tablets and home theatre systems. As discussed, DRmare music Converter for Spotify is known for its great features and can be used as a music downloader. Removal of DRM Protection: Huge problem of Spotify is that music comes with DRM protection. DRM protection technology will not allow users to convert music files to other formats and use in other modes. Hence, this Spotify converter allows user to completely unlock the DRM restriction from Spotify music and acts as a music downloader to download all the music available from the Spotify app. Also, as it removes DRM restrictions users can download Spotify music without worrying about the premium service getting wasted when it comes to offline. Moreover, it also acts as a music converter to convert music into many formats. 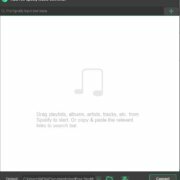 Extract Spotify Music tracks: As discussed earlier, this software also acts as a music converter for Spotify music and allows users to download Spotify music and convert these music streams into various formats available. Almost all audio formats like FLAC, MP3, AAC, WAV etc. Play in any Devices: Almost all devices like mobile phone, iPad, tablets, computer, and music players will not allow music which is DRM protected. But with the help of best Spotify Music Converter, you can convert the DRM protected music into normal ones which you can play it in any of your devices you like. This feature of this software is considered very much valuable by the users. Customise Music Parameters & Library: With this software, one can convert your favorite music into any type of formats like MP3, FLAC, AAC etc. All you need to do is just chose the format you want the music file to be converted. The software will convert it into that format within a few minutes. Not only this, you can manage other audio parameters like sample rate, bit rate, and codec etc. Also, you can even customize the library of the music like an artist, album categoring etc. 100% Lossless: The advanced technology used in this best Spotify Music Converter software allows you to download Spotify Music at 5X faster speed, that too without losing the music quality.All the metadata info and id3 tags are also available in the converted version of the music. As a first step, visit DRmare Spotify Music Converter official website for downloading the software if you don’t have it already. After downloading, install it in your system. 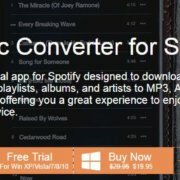 Open the installed Spotify Music Converter software. The software will also load the Spotify Music app automatically. Then you can just drag and drop your favourite music which you want to convert or else you can even copy the music link and paste it in the software if you don’t have the Spotify app installed in your system. Next step is to choose the output format and other settings. You can even do this in the preferences settings. You can customize the music output parameters like bit rate, codec, channel etc as per your requirement. After this, just click the “Convert” button. The software will convert your music files and you can find them at the output folder location which you can copy or move to any devices and listen to it here after. This DRmare Spotify Music Converter software is available for almost all windows operating system like XP, Vista, 7, 8 and even the recent versions. The minimum hardware requirement for better performance of this software is 512 MB RAM and 1 GHz processor. Make sure your system qualifies these requirements so that you can use and convert your Spotify songs without any issues. You don’t need to waste your money on something which you have never tried and felt satisfied. Yes, you are right. This software is available in a trial version which you can download to use the application for demo purpose. Once after using it, you can buy the software. I’m sure that you will love the features provided by this software. The price is just 19.95$ which is 30$ less than the overall price of the software 49.95$. You will be getting lifetime upgrade and cloud services of Spotify Music Converter software. Easy drag and drop feature. Easy id3 tags for faster edits. You can also use this as Spotify music downloader. Any format converts is possible. No inbuilt music player available with this software. Download & conversion speed depends on the internet speed and your system speed. DRmare music converter is really one must have software if you are a music addict. This music converter software is not only user-friendly but also feature-rich. For both free and premium account users, this application will help them in removing DRM and converting the audio formats. The pricing is also very cheap comparing to other company software which are available in the market. So it is really worth your money to invest in this software. Why TunesKit is the best Music Converter for Spotify in 2019?